Since SPLM-in-Opposition declared their preference for constitutional Federal System in South Sudan, there’s been a lot of heated debate by South Sudanese in the government, in the opposition, in the media and on the street. Understandably, the discussion pits those who support it against those who don’t support it. While I don’t have any problem with the Federal System per se, I don’t believe it’s going to solve any of our problems now and in the future. It’s true that we need a complete overhaul of our political governance and social systems in South Sudan; however, we need to understand that for any systemic transparency to work, the leadership’s attitude, the citizen-citizen relations and the general understanding of power structure, have to change. As long as the leadership’s attitude and its perception of power and the country remain the same, it doesn’t matter what system we institute in South Sudan, we’ll always remain in a mess. Unless we have both a good system and good people in leadership, things will remain the same: bad. A good system and a bad leadership or a good leadership and a bad system are all the same: bad! We need to understand also that a Federal System will not auto-create. The constitutional provisions that will create and inform it will still need the cooperation of all the stakeholders in the country. It wouldn’t be a mere importation of foreign Federal Systems such as the one in Nigeria, Ethiopia, Canada, USA or any other federated governance system in the world. There has to be internal, idiosyncratic realities to be put into account. Since power in South Sudan is concentrated in the hand of one man, the opposition see the Federal System as another way to clip the presidential powers. 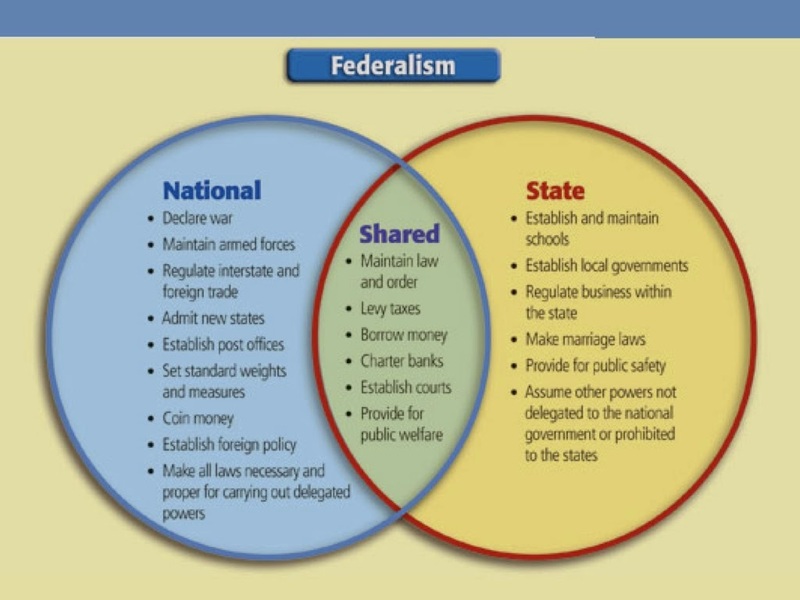 However, I personally don’t think a Federal System is what we need now. All we need is a well-informed, broad-based and structured decentralization of power. What we have now is actually a form of a Federal System (even if it’s not constitutionally stated as such) as we have state parliaments and governments. It’s therefore important that state governments be given greater and functional autonomy. This means that ministries such as Education, Agriculture, and law enforcement sectors should be given to the states. Besides, there should be no presidential and national government’s interference in running the affairs of the states; such as the removal of the governors by the president or the president being consulted by the governor on the appointment of state ministers. State constitutions should have constitutional clauses or provisions on how to remove or replace the governors. Since governors are elected officials, they need to be removed in the same democratic manner by the state parliament as stipulated in the state constitution. And more importantly, there has to be a very well-regulated economic leeway for the states to create their own functional economic systems, internally and externally; nationally and internationally. And as always in South Sudan, there are those who oppose the Federal System (taken at face value) because they assume the three southern states of South Sudan would use it as an excuse to bully residents of war-ravaged states just like what happened with the ‘Kokora’ in the 1980s. Given the attitude of the citizens in these three states towards citizens of other states resident there, the concern is not an empty claim. The three southern states are relatively stable and have been less affected by war. Given the way the eastern states have been affected, some people see the Federal System as an unfair condemnation of the citizens of these states given the fact that the mess we are in wasn’t created by the citizens but by the same politicians who think they have a solution to the country’s problems. It’s therefore conceivable that citizens in the three southern states, who complain a lot about ‘occupation of their ancestral lands,’ would use the Federal System to get rid of residents of other states in their states. But let’s not forget, as I mentioned earlier, that the kind of the Federal System to be instituted in South Sudan, should it become possible, will be informed by a new constitution. State-to-state relations, citizens’ travels and place of residence and the control over national resources will all be dictated by what is included in the constitution. Let’s not just assume that because Canada has a Federal System and each province (state) has absolute control over its resources to the exclusion of other provinces then such a thing is going to be the case in South Sudan. Competing interests will be there at the constitutional drafting time. The technical aspects would not be as easy as we romanticize them. Each and every state will have to protect its interest by bringing to the fore social, economic and political generalities that favor them. In no way will the Federal System decent on us in exactly the way we want it. We’ve already seen Vice President, Wani Igga, backtracking on the Federal System, which he favored in 2011 (and oppose now) just because Dr. Riek Machar favors it. And both President Kiir and VP Igga are saying that Riek isn’t the originator of the idea of the Federal System in South Sudan. Wani claims Riek ‘stole’ the idea from ‘Equatorians’ while President Kiir says the Federal System has always been the demand of South Sudanese even before independence. True partly, because the idea was first proposed by the ‘Southern Liberal Party’ with Both Diu and Stanislaus Pasyama in 1953 and later emphasized by the ‘Federal Party’ under Ozboni Mondri and Father Saturnino Lahure in 1958. So technically, everyone talking about the ‘Federal System’ now is ‘stealing’ and a ‘liar’ as per the VP reasoning. These leaders need to know that it’s irrelevant when it was proposed and who proposed it first. The most important question is: IS IT GOOD FOR SOUTH SUDAN NOW? IF SO, THEN HOW? IF NOT, THEN WHY?